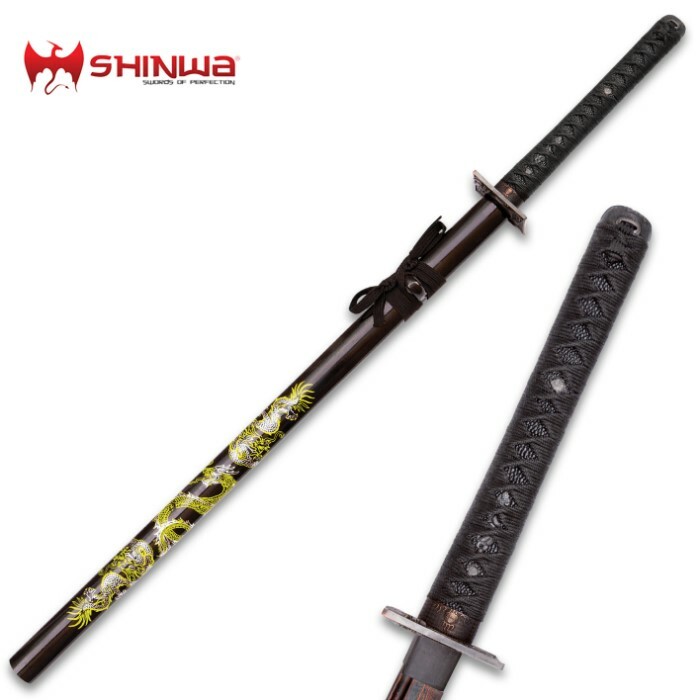 Shinwa swords have a quality standard like no other and this one is no exception! 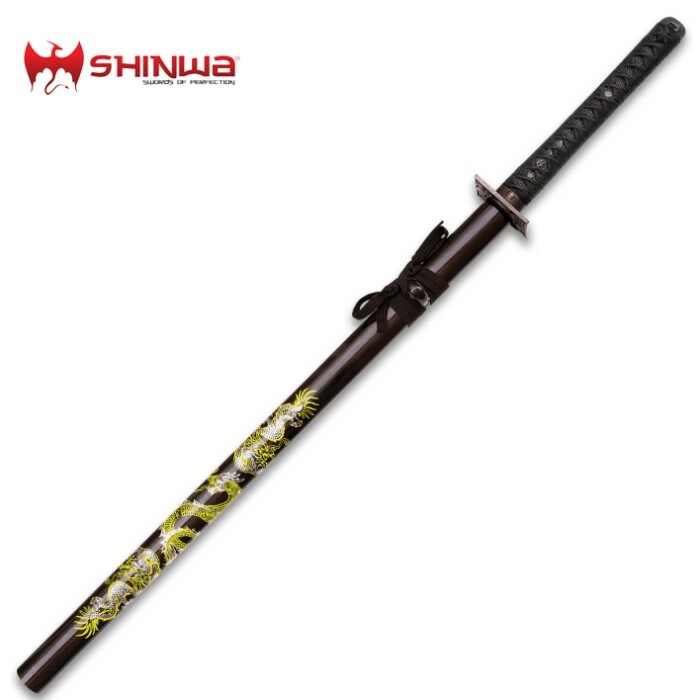 This exquisite Knights Dragon katana features a heat-forged Damascus steel blade that has been folded more than 2,000 times for pure cutting power with a heavy blood groove in the traditional katana design. 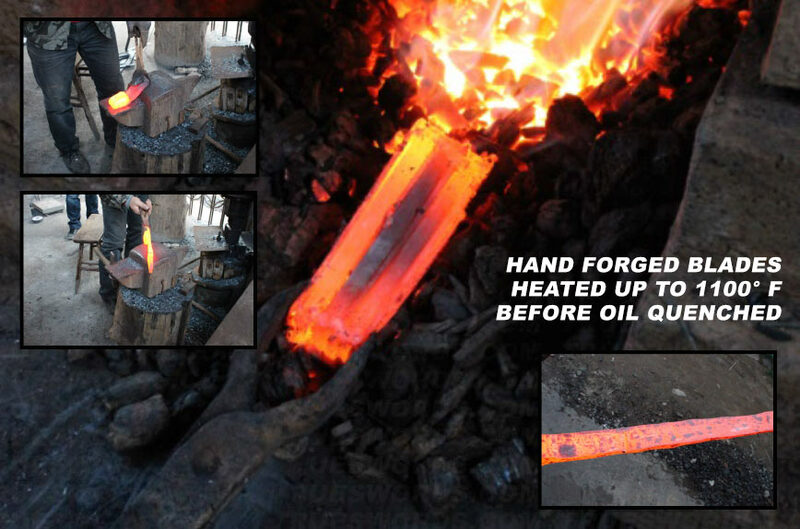 The hardwood handle offers faux ray skin in with black nylon cord wrap, brass menuki, and cast zinc tsuba. 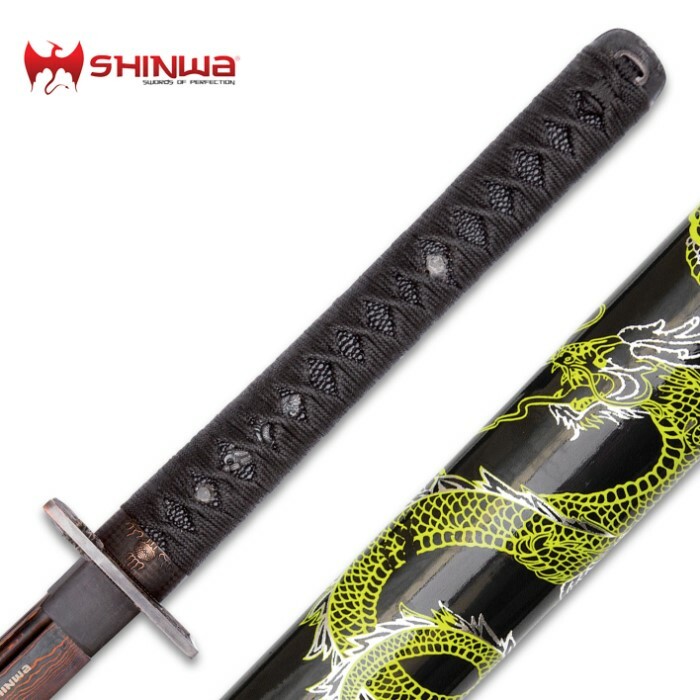 The wooden scabbard is a glossy black with a water transferred green dragon design.